The second half of a performance of Medieval and Renaissance music at WBAI's Free Music Store on January 29, 1972. Performers include LaNoue Davenport, recorders; Sheila Schonbrun, soprano; Christopher Williams, lute; and Judith Davidoff, viola da gamba. This, the second half of the evening's program, includes music from Italy and from Spain. Produced and recorded in stereo by WBAI's Music Department. 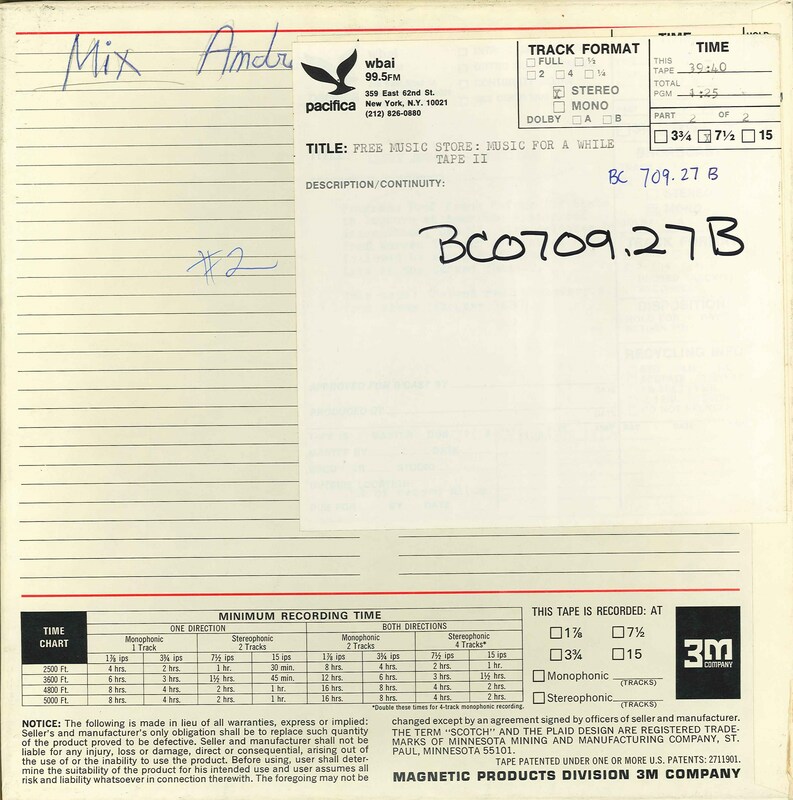 This recording was originally cataloged as BC0709.27B.